Reflecting on my past sugar dependency brings up feelings of resolved ignorance. Although, being able to say that I am eleven years sober from the addiction of sugary filled products, I cannot help but to somewhat express personal grief over the dangers of eating processed sugar. It is increasingly more thankful to be able to put behind how my internal organs endured great pain from that continuous over-acid condition in my body. Fortunately, I am now fully appreciative and value how vital minerals are no longer striped from my body that came with mindless sugary-filled foodstuff consumption. Processed sugar robs the body of vital calcium from bones and teeth, thereby weakening these essential rigid organs. Eating too much processed sugar eventually affects every organ in the body. At the start, processed sugar is stored in the liver, but since the liver is limited in size, ingesting too much sugar will quickly expand the size of the liver. If the liver organ gets filled to its maximum capacity, the excess glycogen is returned to the blood in the form of fatty acids. It is these fatty acids that are distributed to every part of the body and stored in the most inactive areas including the belly, the buttocks, the breasts and the thighs. Even though processed sugar is recognized by the body as empty calories, a more dangerous outcome from eating it is the unwanted weight gain, becoming a much larger problem as having negative nutritional value. The worse negative condition comes with how excessive consumption of processed sugar consumption is linked to insulin resistance, heart disease, diabetes, obesity, and cancer. By reading the ingredients in packaged foodstuff, I have been able to avoid those items containing considerable amounts of fructose. Fructose without its natural fiber that is found with whole fruits will be primarily metabolized by the liver organ. The reason being is that the liver is the only organ that has the transporter for it, and since all fructose gets shuttled to the liver the fructose over aggravates the liver in the same way alcohol and other toxins do. It is so evident that we live with dysfunctional eating habits where loosing unwanted weight is the most commonly shared conversation across all American cultures. 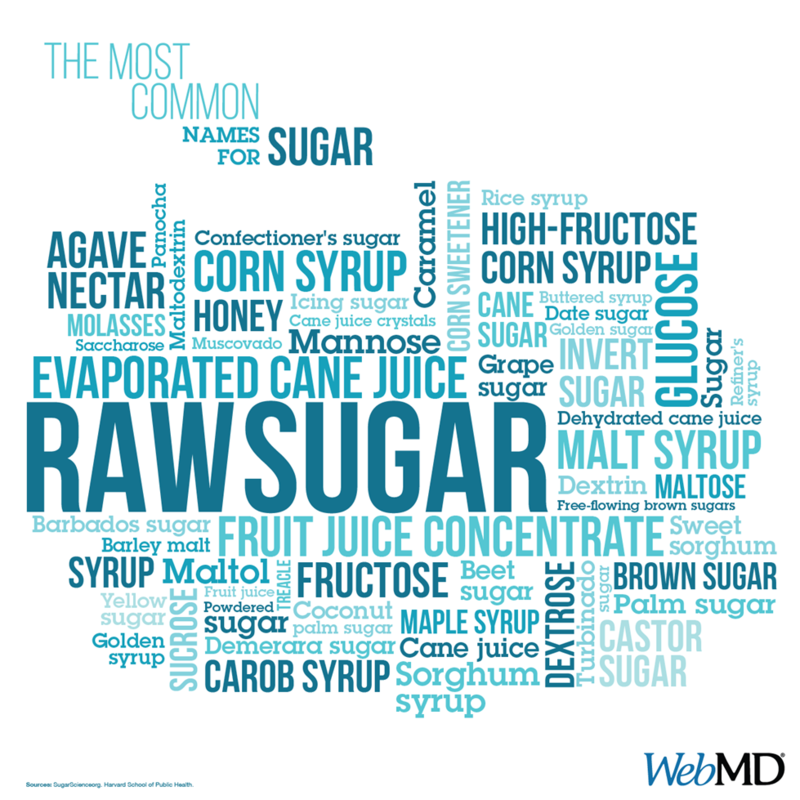 Processed sugar is not confined to junky snack foods or sweets, as it is also widespread in savory processed foods as well. For example, the popular jar of Prego Chunky Garden spaghetti sauce comes bursting with flavor from added vine-ripened tomatoes, sweet onions and garlic, although hidden in just a ½-cup of this sauce lies 2-teaspoons (8-grams) of processed sugar. Similarly, only 1-packet of the popular Quaker’s Instant Oatmeal Maple, Brown Sugar, Cinnamon, Spice, Apples and Cinnamon is a total of 3-teaspoons (12-grams) of processed sugar. In view of that, stay SugarAlert!